A couple of days back, a new ZTE device passed through TENAA that was supposed to be the Axon 8. But, recently, information from a reliable source suggested that it is the Axon 7s and not the Axon 8. 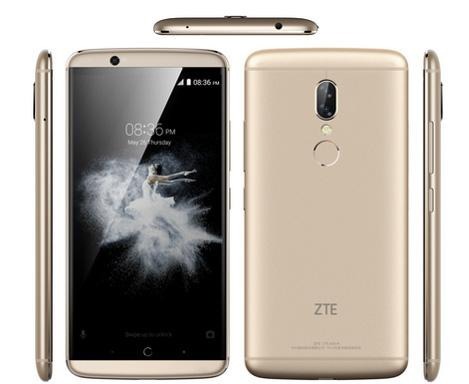 Until today, there was no information regarding the specifications, but today, the Press render of ZTE Axon 7s has leaked with the full spec sheet. The spec sheet isn’t so exciting if we compare it with latest flagships of this year as the Axon 7s is still using old chipset and Android OS. Starting off with the design, the phone has the same design as that of the Axon 7 with the dual front firing speakers and full metal body. The only change seems to be on the rear with dual camera setup. The phone has a 5.5-inch WQHD display with a resolution of 2560×1440. The ZTE Axon 7s has a quad-core Snapdragon 820 processor clocked at 2.1GHz. This is weird as the 820 is one-year-old chip just like the 821. If the company wasn’t able to get the stock of Snapdragon 835 chips, they should’ve used the 821 just like LG G6. Anyways, the phone has 4GB RAM and 128GB ROM. As per the cameras, the Axon 7s has 12MP+20MP dual rear cameras nd an 8MP front-facing camera. The device houses a big 3,400 mAh battery and runs on Android Marshmallow out of the box which is a two years old OS. The device also comes with USB Type-C port. ZTE Axon 7s measures only 170g in weight and is 7.7mm regarding thickness. Lastly, the price of the phone is 4,399 Yuan that is approximate $638.29 which is surely not a good pricing for a device with almost two years old chipset and OS. There is still doubt regarding the specifications, so we will suggest taking the specs into consideration with a pinch of salt.